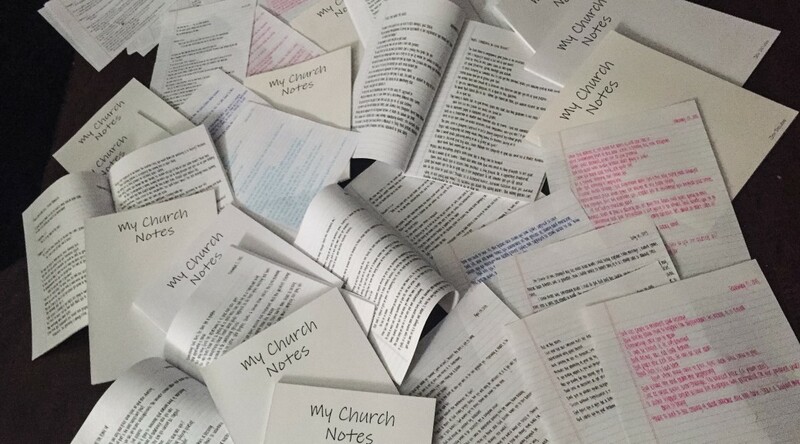 I am so excited to share something I’ve been working on all year – #MyChurchNotes! I attend church or listen to a preaching 1-3 times per week, and always make sure to take notes so I never forget God’s word. We go to church and pray to God for inspiration, but if we don’t take notes, over time we will forget what we learned. I knew there was something more I could do for God, which led to taking the notes off my phone, writing them out, xeroxing them and turning them into a book for others to read. Why didn’t I just type it to make it easier? Because I really wanted this book to have the true feeling of my notebook. I want EVERY person that meets me, knows me or comes across my work to have them because my relationship with God, and going to church is the best thing that has ever happened in my life and I want each and every one of you to feel the same. I will be updating the book every couple months and want this in as many hands as possible – which is why #MyChurchNotes are completely FREE. If you’d like a copy, just fill out the form below. 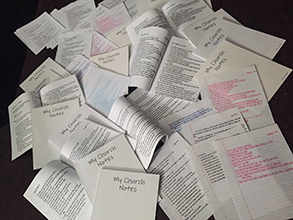 While you are waiting for your order, read some of #MyChurchNotes online here.